Being the leading exporters, our company offers a wide array of Monel 500 Plates. These plates are sourced from top quality raw material by our reliable vendors. Our product range is highly efficient and is offered in standard grades. These products are as fabricated as per the International quality norms. Known for Plain End, Beveled End, Threaded, our range of Monel 500 plates is available in variety of grades: Monel 400 plates (UNS N0.4400) and Monel K500 plates (UNS N0.5500). 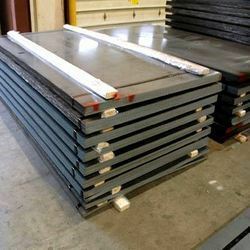 Furthermore, these products come in different sizes: 5 mm - 50 mm thick in 1000 mm TO 1250 mm width & 2500 mm Length and in different types like Plates, Flat, Blank, Circle, Ring, Sheets and various others. We also offer bending, forging, cutting, rolling, heat treatments and some minor fabrications services. We have been awarded with Mill Test Certificate as per EN 10204 / 3.1B standard. Looking for Monel 500 Plates ?